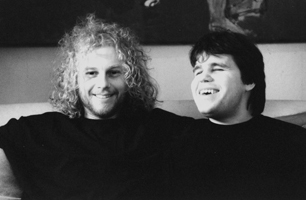 Swedish duo Mats/Morgan create their own sphere in the transcontinental music scene, a zone wherein progressive rock, jazz-rock fusion, experimental rock, electronica, and progressive pop overlap and intertwine. Morgan was voted the #1 best fusion drummer in Modern Drummer magazine's 2010 reader's poll and a full-length documentary on him, entitled 'Morgan Ågren's Conundrum' was released in late 2013. 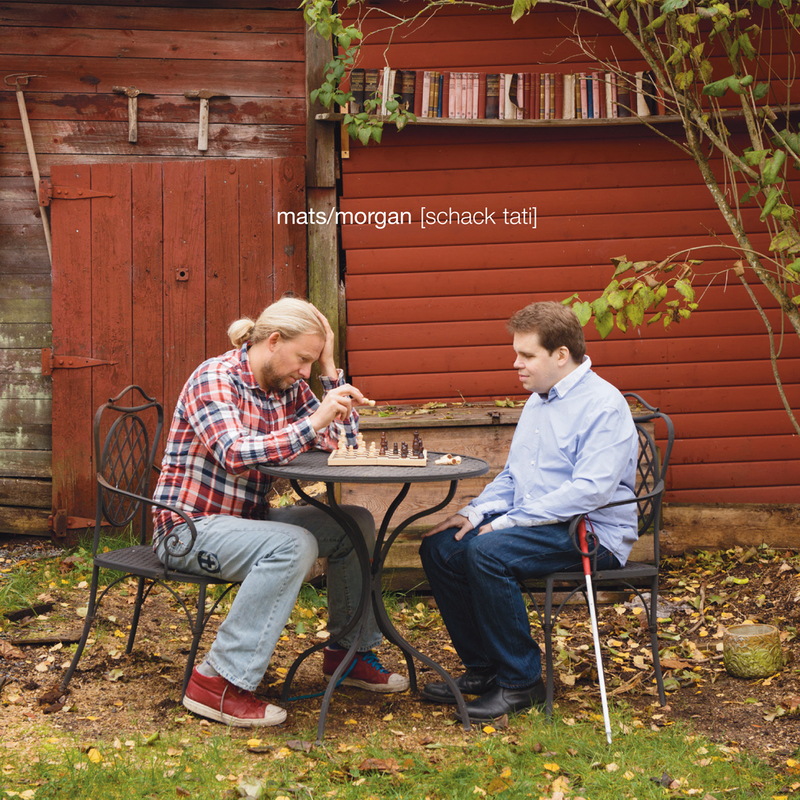 Schack Tati is their first new studio album since 2005's Thanks For Flying With Us, which has sold over 5,000 copies. 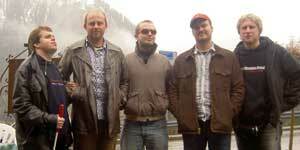 Their music is a very individual and personalized blending of electronica, beats, jazz, rock and complexity. The double set Radio Da Da/The Teenage Tapes compiles Mats/Morgan’s earliest works. This compendium captures Mats/Morgan to some extent in embryonic phases, yet there’s nothing tentative or unfinished about its contents; remember that during this period, these two very young musicians were asked to join Frank Zappa's touring band and we all know what sort of musicianship and musical poise FZ demanded!  The genre-defying breadth of styles, bracing ideas, and high level of musicianship will appeal to fans of experimental rock. 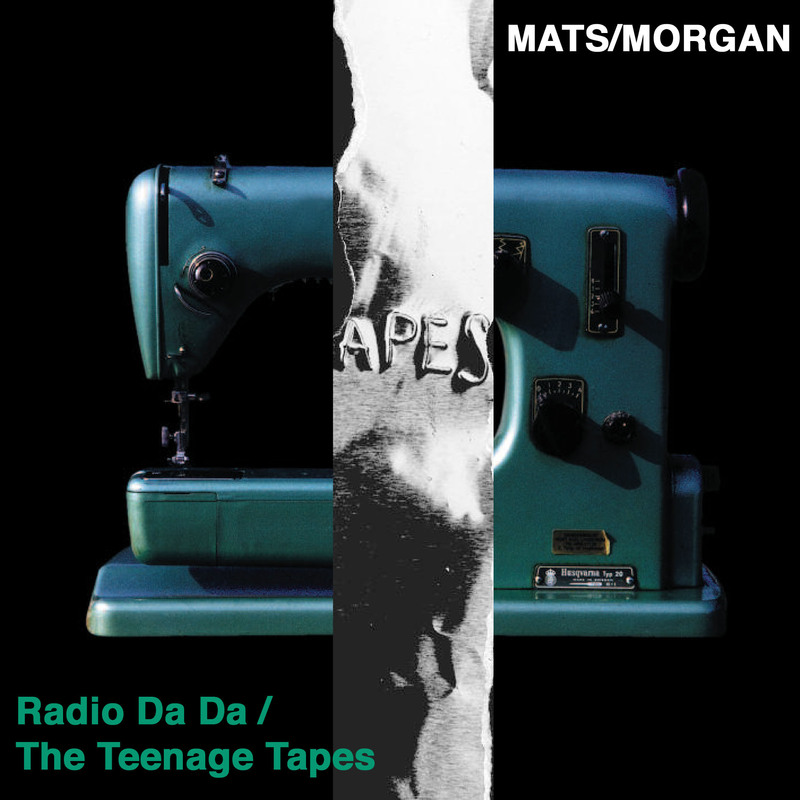 Radio Da Da was Mats and Morgan's third album, originally released in 1998. It finds the duo performing nearly all instruments and vocals,augmented by two extra tracks. 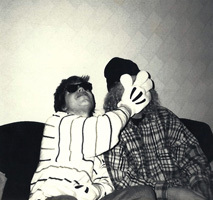 The Teenage Tapes, their fourth release, compiled the duo’s earliest works, including home and DIY recordings from as early as 1981, the year they met. 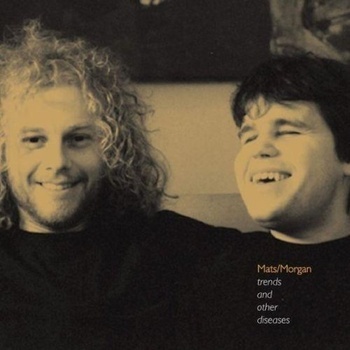 Combining humor and virtuosity, the work of Mats/Morgan takes the listener through melodic landscapes rarely visited by what hipsters perceive as 'avant-garde' and then onto wherever their muse leads them. Their music is a combination of atonalities deriving from the avant-garde, jazz fusion, the soulful grooves of Earth, Wind and Fire, the melodicism of Stevie Wonder and the complexity and humor of Frank Zappa. 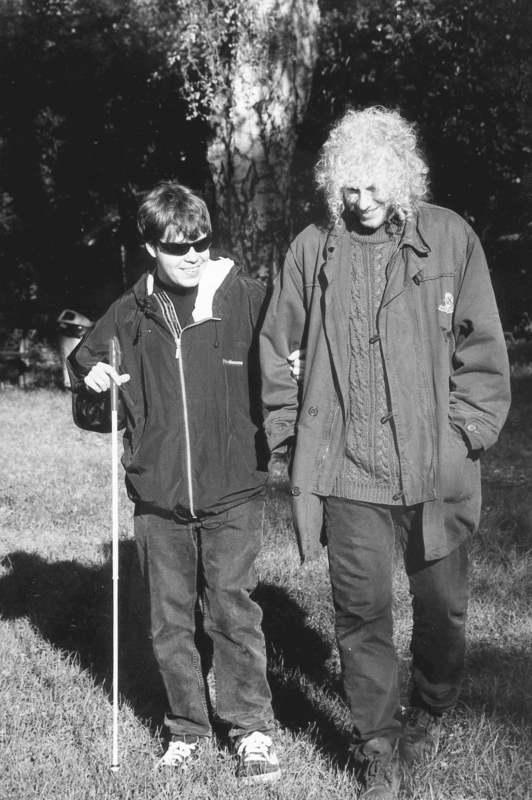 Keyboardist/vocalist Mats Öberg and drummer Morgan Ågren have been playing together for over 30 years! They were 'discovered' at a very young age by Frank Zappa and they are musical legends in their native Sweden and beyond, known for their wild and funny musical performances. 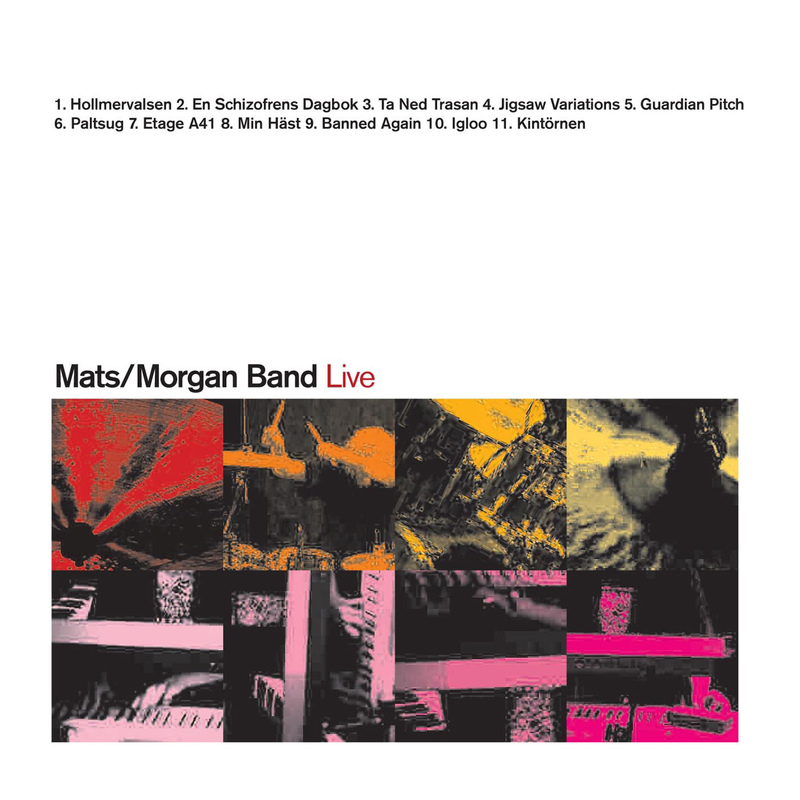 Live was Mats/Morgan Band's fifth album and the first by the extraordinary expanded lineup of the group (Mats, Eric Carlsson and Robert Elovsson - keyboards, Jimmy Ågren - guitar, Tommy Thordsson - bass and Morgan - drums). 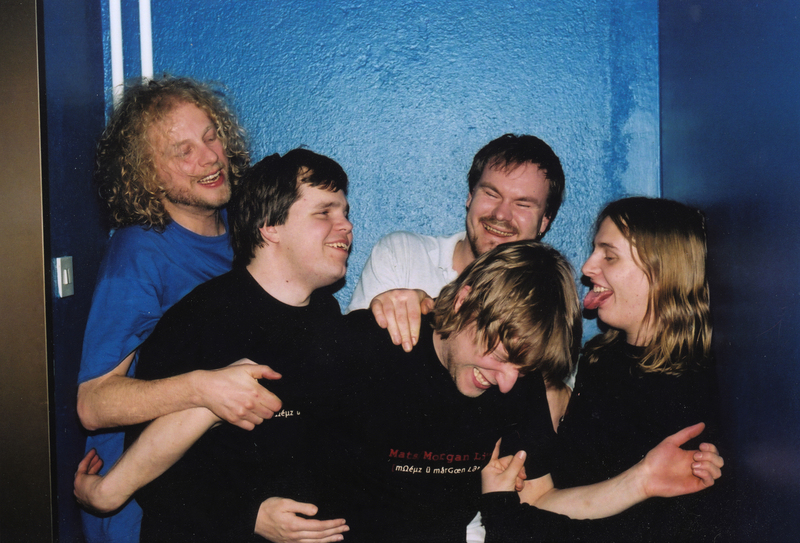 Professionally recorded at Sweden's well-known Club Fasching, they dazzled the audience with their unbelievable chops and musical audacity, taking the music to the next level! They take their influences and blend them up for something that resembles the metrically difficult music of Egg combined with very adventurous jazz/rock and Zappa influences but performed at blinding speed with insanely assured musical authority...and it's a LIVE recording! If you don't know this group and you only know their reputation, or you have seen all the amazing quotes from other musicians about how great they are, but you didn't know where to get your feet wet, you should definitely start here! 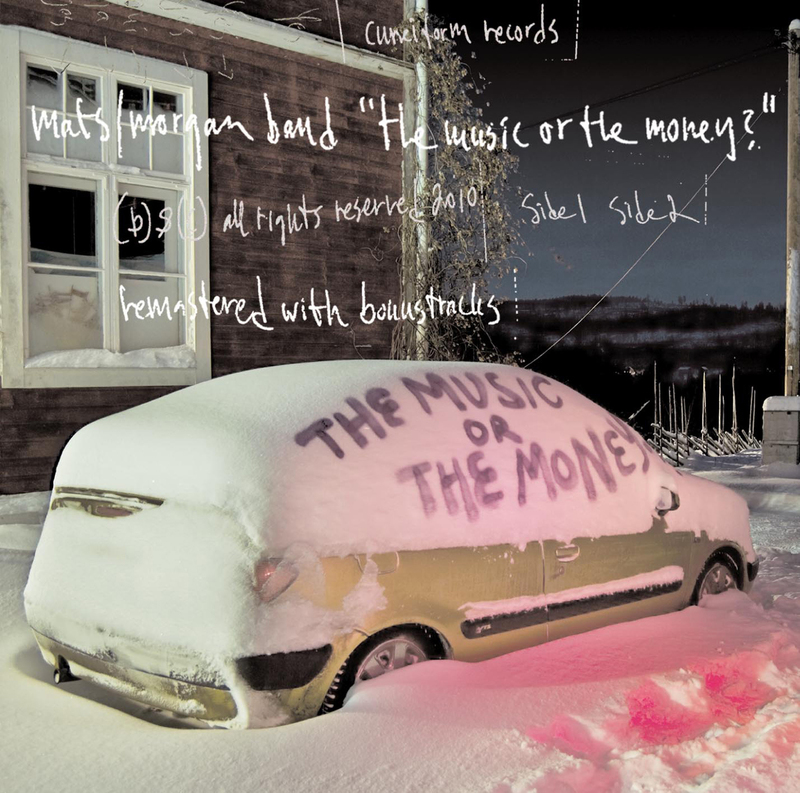 The Music or the Money? was the second album by Mats/Morgan, which was originally self-released in 1997 and only available at their shows. 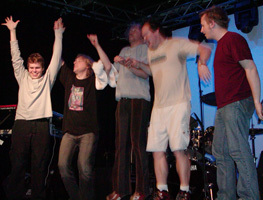 The album showcases two different halves to the musician's work; spontaneous playing on compositions and improvisations by the duo with and without additional musicians and as a sort of stylistic counterpoint to that, music that relies on heavily programmed electronic materials, in the vein of Frank Zappa's synclavier works – it remains Mats' favorite album by the group. Both are top drawer players, but their music is not simply a chops-fest of blurred, fast notes - there is a lot of humor and restraint mixed into the virtuosity, which gives them a unique sound. This new edition of The Music or The Money? 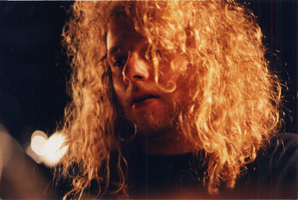 adds over 45' of unreleased material, all of which features the current version of the Mats/Morgan Band; Mats, Morgan and bassist Gustaf Hielm, who was the bassist of technical metal legends Meshuggah for many years. 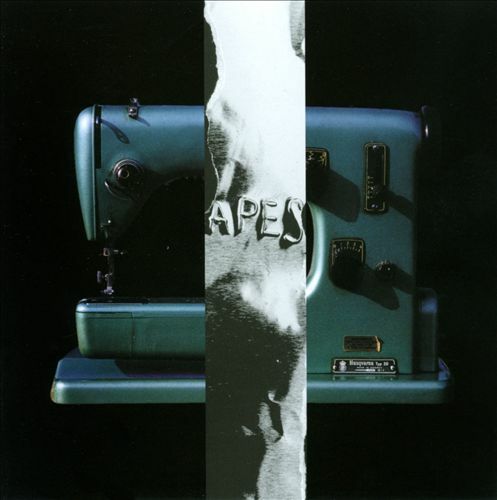 "Voted the #1 'fusion' drummer in the 2010 Modern Drummer reader's poll: Morgan Agren"
Trends and Other Diseases is a reissue of their debut album, recorded from 1993 to 1995 and originally released only in Sweden. This release has been remastered and includes a 15 minute bonus track. "Trends is our debut CD, and was also the first one we released by ourselves on our own company! It was a great exciting period, cause we had just built our first own studio, (one adat machine and a 24 track Soundcraft board etc). When finally having all the equipment we needed to record, we spent quite some time making this CD. I like the album a lot, it not only reminds me of this exciting period, I like the songs too, and I was also happy with the way the sound came out, especially considering it was the first recording we did by ourselves. 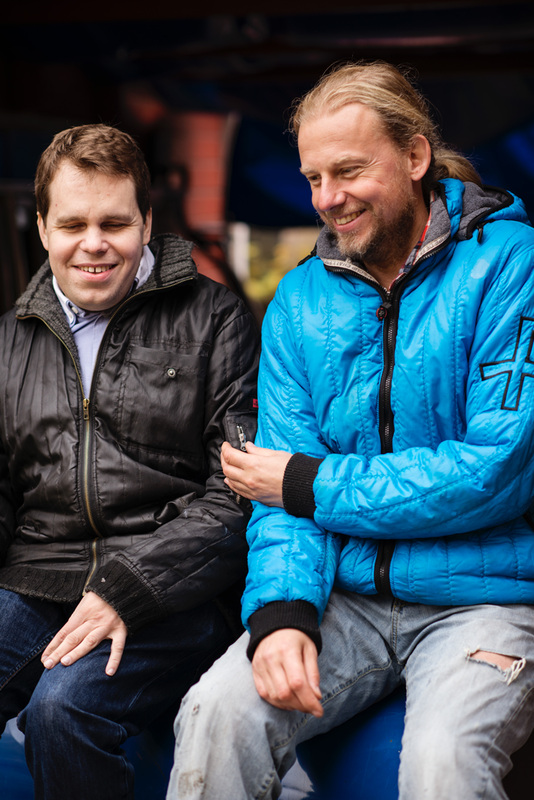 Nice guest acts as well, such as; Fredrik Söhngen on and Gunnar Persson on Oboe and Bassoon, vocalists Dilba, Derek Huntsman, Meshuggah Guitarist Fredrik Thordendal, saxophonist Jonas Knutsson etc. Mats Öberg (keyboards) and Morgan Ågren (drums) have been playing together for over 25 years. 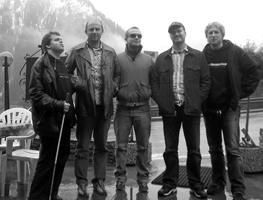 They released 6 previous album (as well as assorted side/solo projects) for their own UAE label for a decade before signing with Cuneiform and releasing their very popular "Thanks For Flying With Us" album. 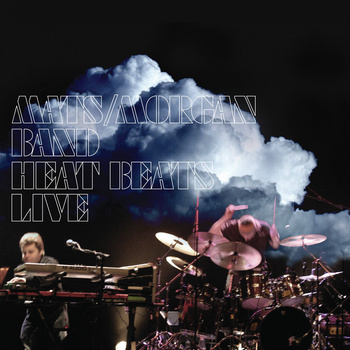 Heat Beats is an excellently recorded live album (except for the applause you would never know it was a live recording) which covers two years of work, featuring Mats and Morgan alone, together and with up to 3 additional musicians. 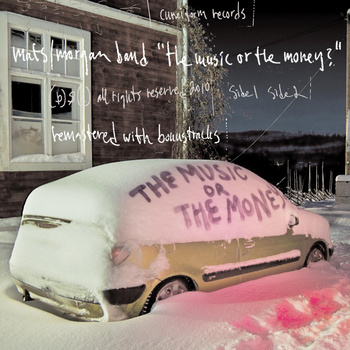 The music is their modern blend of composition, improvisation, complexity and hypnotic beats, as well as their sense of humor. Also included in this package is a second disc, which is Morgan Agren's long worked upon and anticipated DVD release, both with Mats and with other musicians as well. 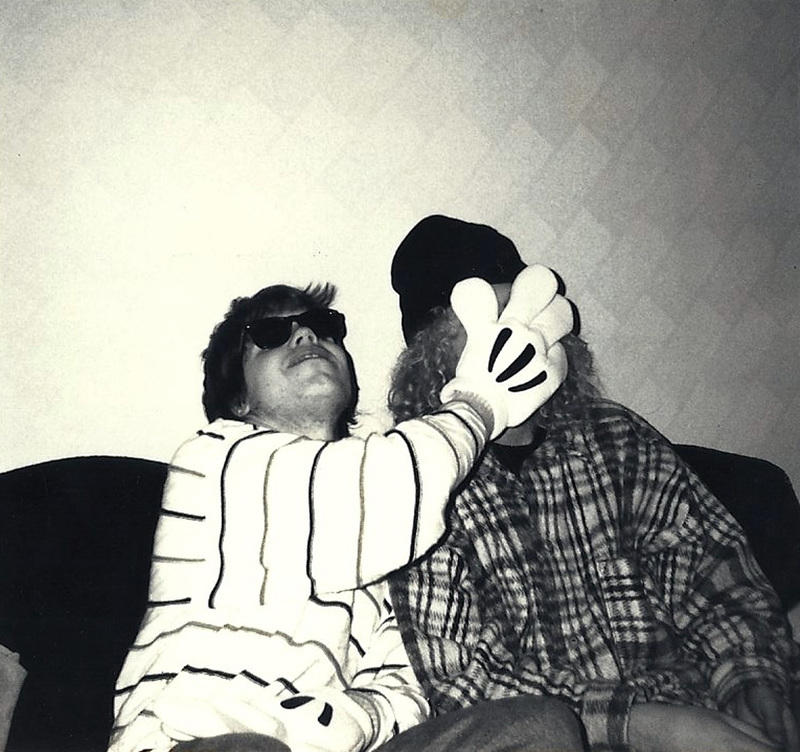 Mats Oberg (keyboards) and Morgan Agren (drums) first began playing together 35 years ago (!!) 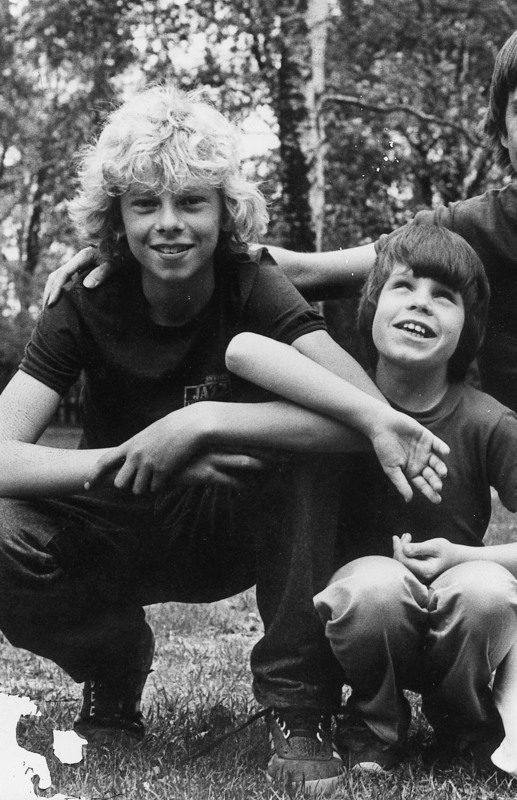 when Mats was 11 and Morgan was 15. Originally very influenced by Frank Zappa, they actually played with Zappa in 1988, but while some of the Zappa influence remains, they have long since found their own voices. In the mid 90's, they began releasing CDs on Morgan's UAE label, eventually forming a stable band, which has been amazing audiences in Europe and the USA since 2001, and which consists of Mats and Robert Elovsson-keyboards, Jimmy Agren-guitar, Tommy Thordsson-bass and Morgan-drums. 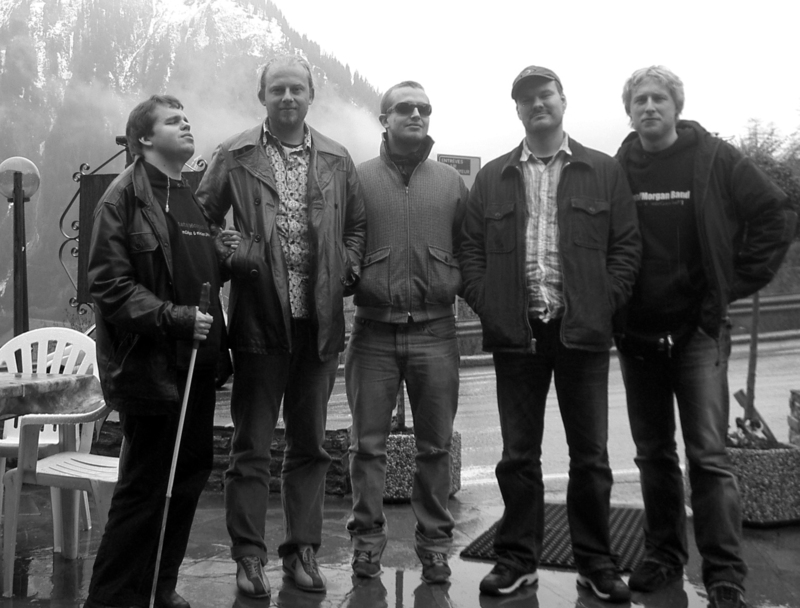 All players with superb playing ability, the quintet plays as a well-honed, cohesive unit, with more developed compositions than in earlier works, showing the band arriving at its own voice in progressive jazz/rock, with a modern-sounding blend of complexity, composition, chops and beats. 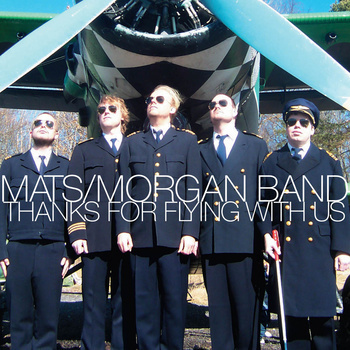 Thanks For Flying With Us is their seventh album, their first release outside of Sweden and their first studio work since 1997. This is a great album by an absolutely monster band who await the world's discovery!